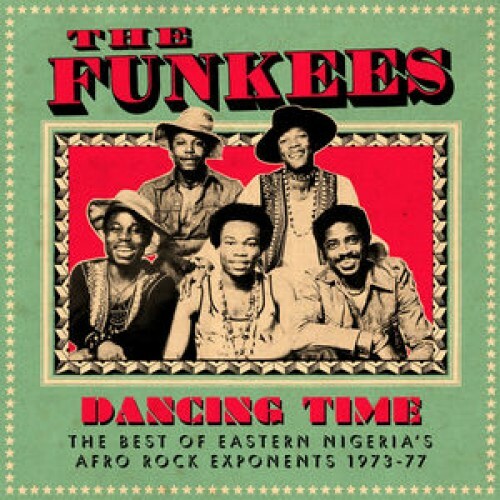 ncing Time: The Best of Eastern Nigeria's Afro Rock Exponents 1973' by The Funkees is the latest title on Soundway to mine the rich musical output of 60s and 70s Nigeria. For the five-year period this compilation spans The Funkees output crackled with dance floor fire. Having featured on three of Soundway's most popular titles, across the definitive Nigeria Special compilation series, we felt The Funkees output deserved closer inspection. Presented here (on CD, download and double gatefold LP) are 18 slices of funky Afro-rock grooves hand picked by Soundway's Miles Cleret from a selection of the bands 45s and two long players. In the early 1970s The Funkees were the number-one east Nigerian band and the only outfit to seriously challenge the popular Lagos based rock combos MonoMono and BLO. Stoking the dancefloor was the young band's first priority and The Funkees were often playing through the night, seven days a week. Formed at the tail end of the Nigerian civil war by Harry Mosco Agada (then a guitarist in Celestine Ukwu's Music Royals) the band played for the army's 12th Brigade in Aba and went through a rapid series of membership changes in search of the perfect line-up of players. It wasn't long before promoters in the UK came calling and The Funkees packed up their instruments and moved to London where they quickly established a fierce reputation on the live circuit. Here they recorded two seminal albums before finally breaking up in 1977 amidst some controversy. This collection features for the first time all of their Nigerian 45s alongside the best of their UK album material and is accompanied by a full interview with original member Sonny Akpan, who still lives in the capital.